Weak data from China has exacerbated emerging market concerns. Despite a monthly decline, our updated index shows things aren’t terrible – property sales and freight volumes grew. But exports look weak and slow truck sales suggest sluggish domestic demand. 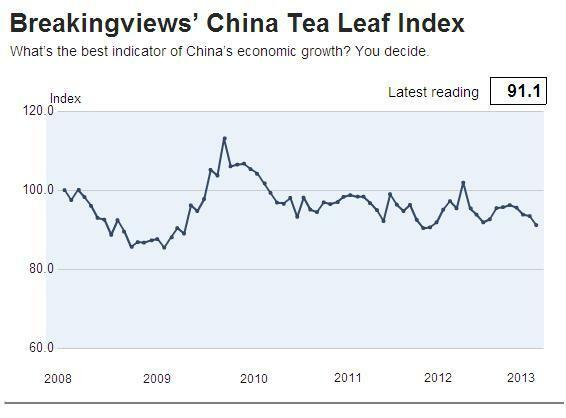 Breakingviews’ China Tea Leaf Index dropped to 91.1 in December, from 93.4 in November. The Markit/HSBC final manufacturing PMI for January dipped to 49.5 from December’s 50.5, according to data released on Jan. 30. It was the first deterioration in six months.